Ah! Spring is here and soon it will be Easter. It’s just a hop, skip and a jump away. It’s totally time to help the Easter Bunny decide what to drop off at your house this year. 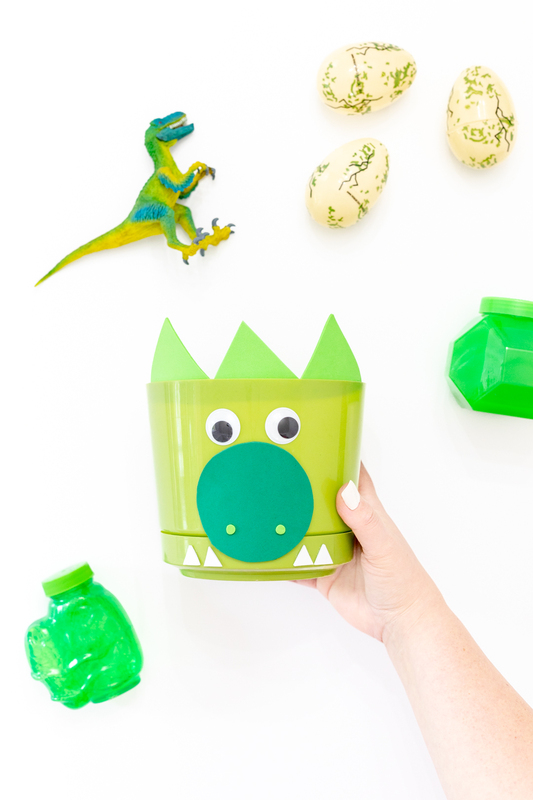 I’m sure our favorite bunny will love this cute Homemade Dinosaur Easter Basket that’s SO easy to make. 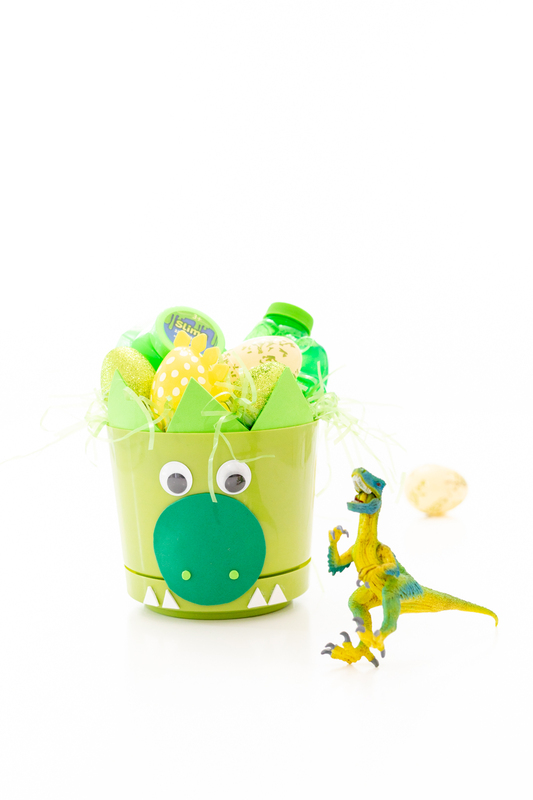 Dino lovers will totally love these themed baskets waiting for them in the morning! 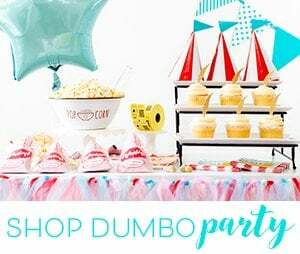 If you’re looking for the perfect toys to inspire creative play, you’ve come to the right place. This post is sponsored by Schleich, all opinions are my own. 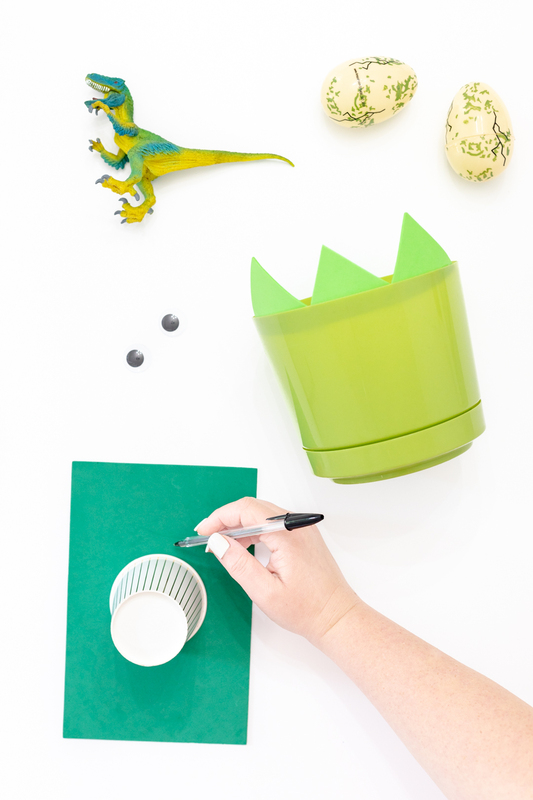 This is one of my favorite DIY Easter ideas so far. So many kiddos totally love dinosaurs, so this should be a hit this year. 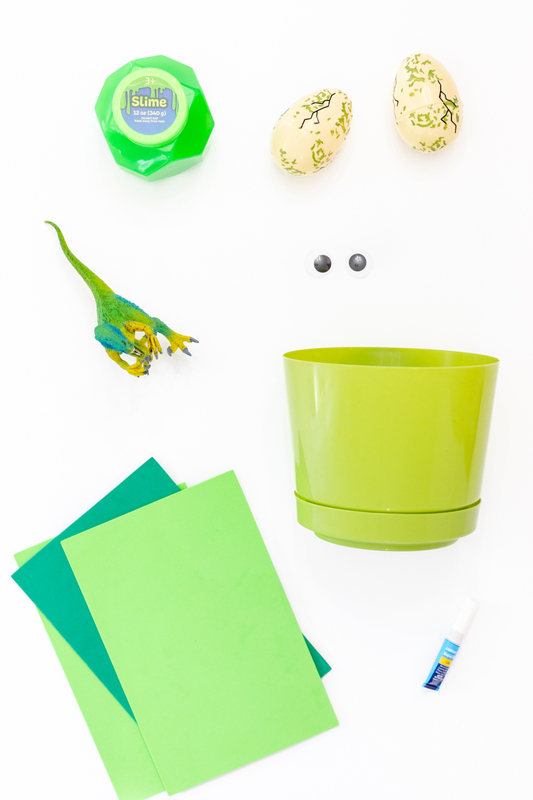 I was inspired to put together dino basket ideas after getting to see the cool Dinosaur figures from Schleich. They are really detailed and many of them have a moveable lower jaw for maximum rawr-worthy fun. Fun fact… Schleich is one of the oldest companies in the world. Originating in Germany, their unique toys are now found world wide! 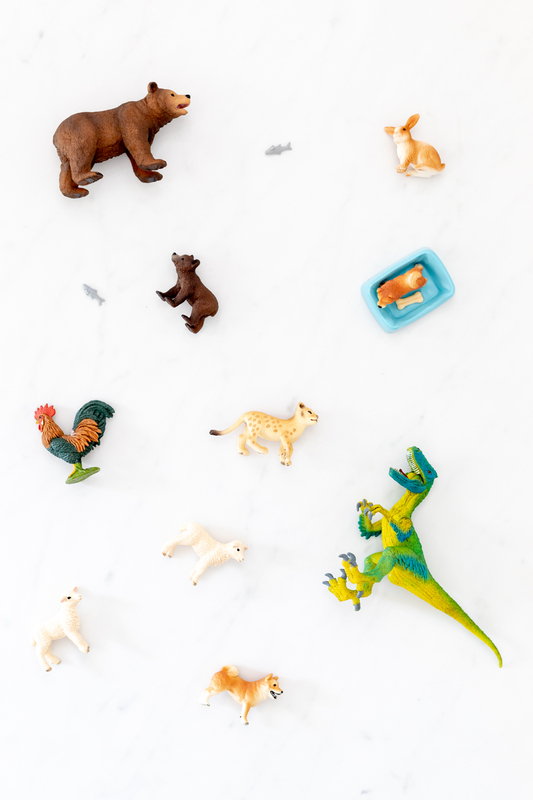 They are so many if their dinosaur figures that you can include in your DIY baskets including some favorites like Giganotosaurus, Brachiosaurus, triceratops, stegosaurus and the Velociraptor featured in today’s fun project. STEP ONE: Cut three identical triangles out of a light green foam sheet. STEP TWO: Cut a large circle out of a dark green foam sheet. Use a small cup to help form the shape easily. STEP THREE: Use a hole punch to finish up the nose with light green foam sheet. STEP FOUR: Cut four small triangles out of a white foam sheet. STEP FIVE: Glue all of the pieces onto the planter and let dry completely. Voila! 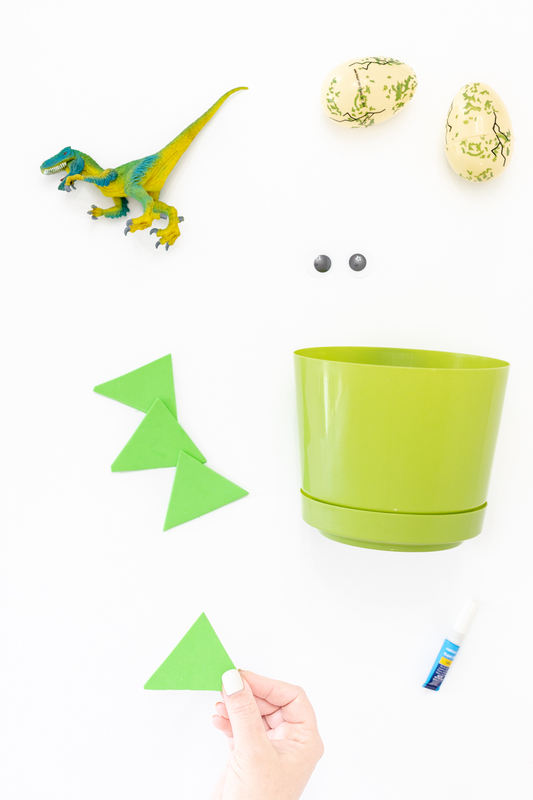 You now have have a super cute dinosaur themed easter basket! 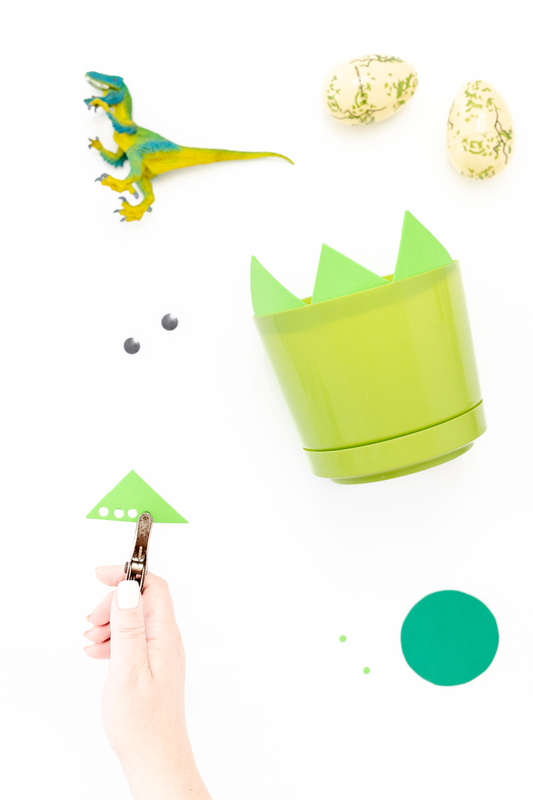 Now, all you need to do is fill with fun dino goodness! 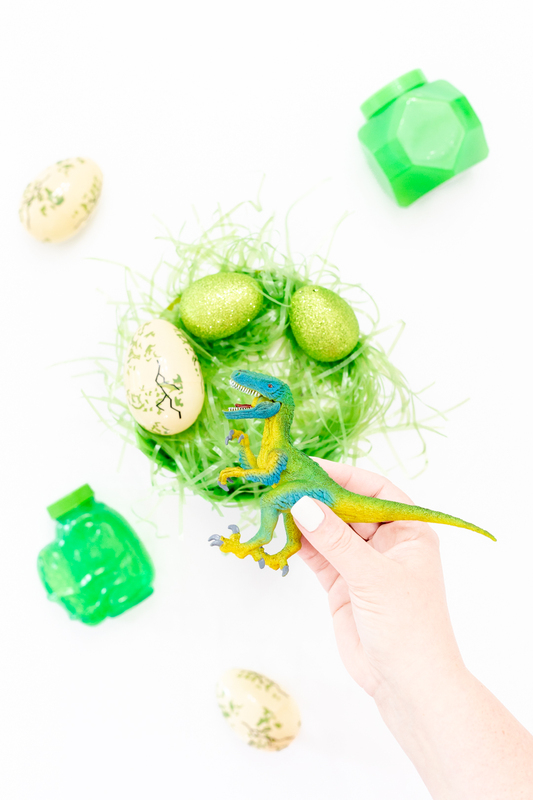 WHAT ARE SOME DINOSAUR EASTER BASKET STUFFERS? You have your themed basket, but what to fill it with? Here are some easy stuffer ideas to get you started. 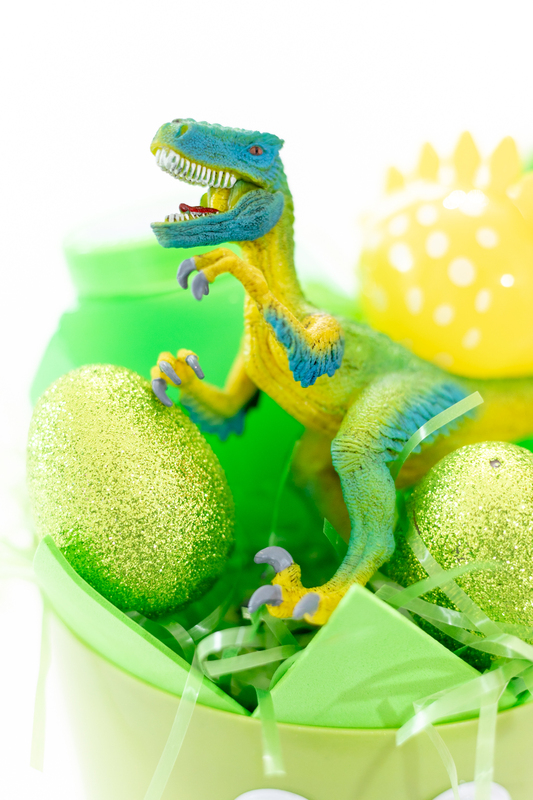 Make Easter extra fun by including Schleich Dino figures and more. See where to buy them here. Their unique toys and figures can be found at 40,000 locations worldwide! Check to see if you live in a the participating areas here because you can enter to win 1 of 20 Schleich prizes! Get more details here. So cute! Want more Dino ideas? Check out this ice cream party. Check back soon! I will be highlighting more collectible Schleich animal figures for Easter. 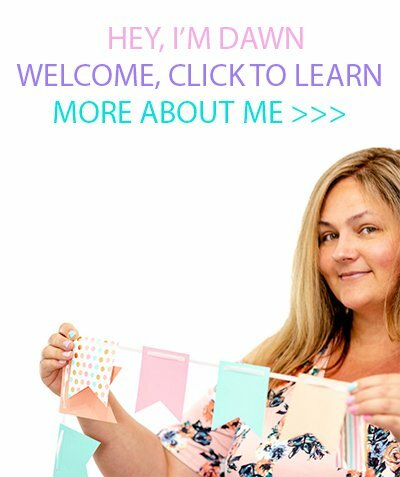 Do you enjoy putting together homemade Easter baskets for your kiddos?